The Post (film, 2017). A 2017 American historical political thriller film with "PG-13" rating by 20th Century Fox. Directed by Steven Spielberg. Official Trailer. The Post is a 2017 American historical political thriller film directed by Steven Spielberg. 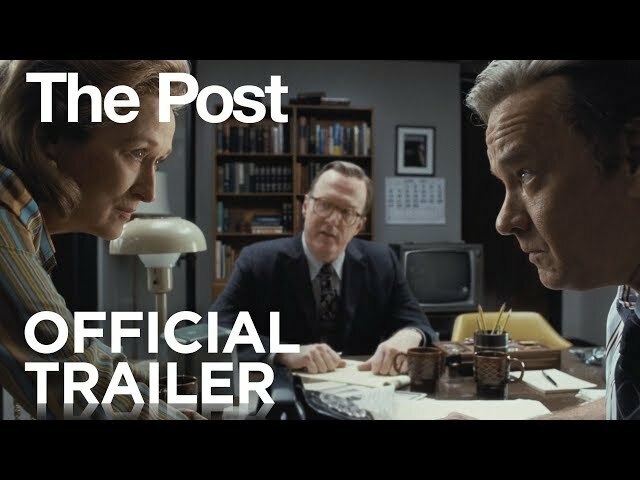 The Post | Official Trailer | 20th Century FOX. In 1966, during the Vietnam War, State Department military analyst Daniel Ellsberg accompanies American troops in combat, documenting the U.S. military progress in the region for Secretary of Defense Robert McNamara. On the flight home, McNamara privately tells Ellsberg and William Macomber that the Vietnam war is hopeless. Upon landing, he tells the press he has every confidence in the war effort. Ellsberg, overhearing this, becomes disillusioned. Years later, as a civilian military contractor working for the RAND Corporation, Ellsberg surreptitiously photocopies hundreds of classified reports documenting the country's decades-long involvement in the conflict in Vietnam, dating back to the Truman administration. Ellsberg then leaks these documents to The New York Times. In 1971, newspaper heiress Katharine Graham tries to balance a busy social life with responsibilities as owner and publisher of The Washington Post, following the deaths of her husband, Phil Graham, and her father, Eugene Meyer. She nervously prepares for the newspaper's stock-market launch, a move to help financially stabilize the paper. Graham lacks journalistic experience and is frequently overruled by her domineering male advisers and editors, including editor-in-chief Ben Bradlee and board member Arthur Parsons. Secretary McNamara, a long-time friend, forewarns Graham that The New York Times is publishing an unflattering story featuring him. The story, another example of the TimesB ability to get scoops while The Post languishes, is an exposé of the government's long-running deception regarding the Vietnam War. However, a court injunction quickly halts the TimesI from publishing further articles on the subject. The film The Post was scheduled to be released by 20th Century Fox on December 14, 2017 (Newseum), on December 22, 2017 (United States) and on February 22, 2018 (Germany). The duration of the film is 116 minutes. With a budget of $50 million, the film grossed over $179.8 million. 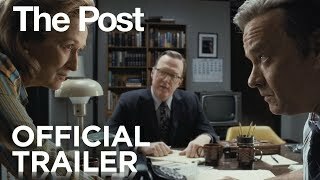 The Post got high rating from critics. The audience also likes the film. Audiences polled by CinemaScore gave the film an average grade of "A" on a scale ranging from A+ to F.